Ann Urling is a native of Shinnston, WV in Harrison County and has resided in Kanawha County since 1991. She has 31+ years’ experience as a community banker and has been the Senior Vice President of Summit Community Bank in Charleston, WV since 1999. She earned her bachelor’s degree from West Virginia University in 1986 and is a graduate of the Lloyd P. Calvert Graduate School of Banking. Ann is an active Rotarian and Paul Harris Fellow and serves on the Childhood Language Center Board (which helps children who have speech and hearing issues get assistance at no cost to the family). She recently finished her term as a Board member of the Rae of Hope (which helps women with drug and alcohol issues find sustained recovery). Ann resides in Charleston with her husband, Chip, and has 3 children and 1 grandchild. Hon. Thomas J. Smith, P.E. Mr. Smith is an award winning professional engineer who has devoted his lengthy and distinguished career to the betterment of transportation infrastructure around the country, and especially here in the Mountain State. A graduate of North Carolina State, Mr. Smith has previously worked for over 37 years for the Federal Highway Administration in numerous states. He was the FHWA Project Administrator for Boston's famous "Big Dig." 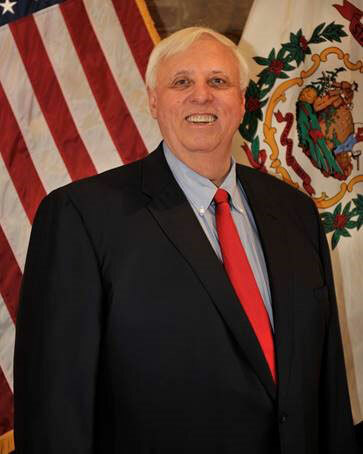 In his 16 year tenure as FHWA's Division Administrator for the WV Division, Mr. Smith oversaw the creation of a state and federal strategy for constructing US Route 35 and the Appalachian Corridor highway system. He has been married to his wife, Mary, for 35 years and counting. They have three children, Trent, Clint and Caroline. In addition to West Virginia, Mr. Smith is licensed in Pennsylvania and Ohio. Mr. Vinciguerra was Vice President and Manager of Paper Supply Company (now known as Jan-Pak). He has extensive experience in purchasing and management and was employed by Paper Supply Company for 35 years. Mr. Vinciguerra also serves on the Mercer County Building Commission and is very active in several civic organizations. He resides in Bluefield, West Virginia. Mr. Mainella is the manager of United Security Agency Insurance in Fairmont, WV. A native of Fairmont, he is a WVU graduate and a former WV State Policeman. He previously owned Chevrolet dealerships in Hundred and Shinnston, WV. Tom has served two terms on Fairmont City Council, currently President of the Fairmont Airport Authority, has served as president of the Marion County Rescue Squad, and is a member of the Fairmont Sanitary Sewer Board. He is a member of the Fairmont Elks Lodge, Holy Spirit Church, Phi Kappa Psi fraternity, and the Knights of Columbus. He and his wife Joyce reside in Fairmont and are the parents of two children. Mr. Seaver is a life long resident of Princeton, attended Concord University and graduated from the Cincinnati School of Mortuary Science in 1973. Bill is involved in many community activities including: serving on the Mercer County Board of Education for 18 years, president for four years, past member of the Princeton Community Hospital Board of Directors, member of Princeton Elks Lodge, Princeton Moose Lodge, Beni Kedem Shrine Temple, Princeton Masonic Lodge, #134, Royal Arch Mason, #44, Knights Temple, #19, member and past-president of the Princeton Mercer County Chamber of Commerce, and past member of the Princeton City Council. Bill is the President of Seaver Funeral Service, Inc., which has been a family owned business since 1844. Ms. Maddox is the Chief Communications Officer/Owner of Charles Ryan Associates. She is a graduate of Marshall University with a Bachelor of Arts degree in Journalism and a Master of Arts degree in Journalism. Alisha was recognized in 2017 as the "Woman on a Mission" by Union Mission Ministries, "WV Young Gun" by WV Executive Magazine and the "WV Wonder Woman" by WV Living Magazine. She was also a Leadership WV Graduate, Class of 2014, and is the current Project Leader for "Explore the New Manufacturing" Education Campaign for the WV Manufacturers Association Educational Fund. In addition to the Parkways Authority, Alisha currently serves on the following Boards and Committees: Leadership WV Board of Directors and Fundraising Committee; Robert C. Byrd Institute of Technology, Early Stage Funding Opportunity Committee; WV Department of Education, State Superintendent's Stakeholders Advisory Committee; American Advertising Federation-WV Chapter, Board of Directors, Secretary; and, Public Relations Society of America-WV Chapter, Board of Directors and Membership Committee Co-Chair. Alisha is the Co-founder of WV Visionary Group, committted to working with educators on inspiring, encouraging and elevating students. She is a breast cancer and thyroid cancer survivor and lives with her husband, Scott Garretson, and their two sons, Tyler and Carter. Mr. Epling is the owner of Mountain Edge Mining, Legacy Resources and Hanover Resources which are coal mining operations. Mr. Epling was involved for many years with boxing and baseball throughout the State of West Virginia. Chief Engineer for Beckley Coal Mining Company for 19 years. Member of the Southern WV Boxing Hall of Fame. Served as West Virginia State Boxing Commissioner for 9 years. Member of the Board of Visitors at WVU Tech. Member of the WVU Tech Athletic Hall of Fame. Presently, Chairman of the Beckley Police Commission. Member and Past Master of Coal City Masonic Lodge #156. Royal Arch Mason. 32 degree Scottish Rite Mason. Member of the Crab Orchard-MacArthur Lions Club. Recipient of Rotary Paul Harris Fellow and 2018 Inductee in the West Virginia Sports Legend. Mr. Cipriani has been a practicing attorney in his hometown of Wellsburg for 28 years. Prior to establishing his law firm in Wellsburg, he practiced law in Moundsville for two years. In addition to his private practice, Bill has also served as Wellsburg’s city solicitor since 2006 and as an assistant prosecuting attorney for Brooke County since 2010. Bill is an active member of the Wellsburg Lions Club for 28 years, having served multiple terms as president and secretary. Bill is a 1983 graduate of the West Virginia University College of Law and obtained a Bachelor of Science degree in Journalism from West Virginia University in 1980. Mr. Giatras has been an attorney since 1990. He is the owner of The Giatras Law Firm, PLLC, practicing in the areas of civil and criminal law. Troy is a graduate of Duquesne University, Bachelor of Arts Degree, 1987, and West Virginia University College of Law, JD, 1990. He is a member of many professional organizations, including the American Bar Association, the West Virginia State Bar Association, and, the Kanawha County Bar Association. He is currently licensed in the State of West Virginia, Maryland, Pennsylvania and the District of Columbia. Troy is a Member of the PEIA Finance Board, the Visiting Committee for the WVU College of Law, the Charleston Rotary Club, Sacred Heart Co-Cathedral, and is the Fiduciary Commissioner for Kanawha County Probate and a Volunteer Golf Coach for Charleston Catholic. Other Community Activities include: Appointed Special Prosecutor, Kanawha County, WV; Counsel to the Senate Minority Leader, Legislative Session 1997 to 1998 and 1998 to 1999; Appointed to Private Industry Council of Kanawha County, WV; Appointed to Board of Zoning Appeals, Charleston, WV, Chairman; Board Member, the Leukemia and Lymphoma Society, West Virginia Chapter; and, Board Member, Ronald McDonald House, Southern West Virginia. Troy lives in Charleston, West Virginia and is married to StephanAnn Reichel. They have two children, Alexander and Nicholas.